The key to a successful flight mission is planning – sometimes several hours of it. Georgia Tech Research Institute (GTRI) specialists in human factors and human-computer interfaces are working with the U.S. 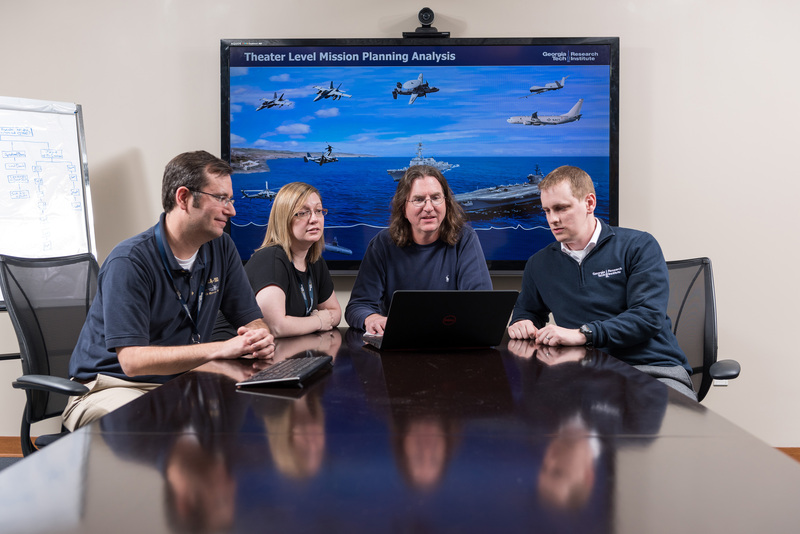 Naval Air Systems Command (NAVAIR) PMA-281, Strike Planning and Execution Systems in Patuxent River, Maryland, to streamline the current mission planning process and identify user interface requirements supporting multi-domain mission management in next-generation naval planning capabilities. 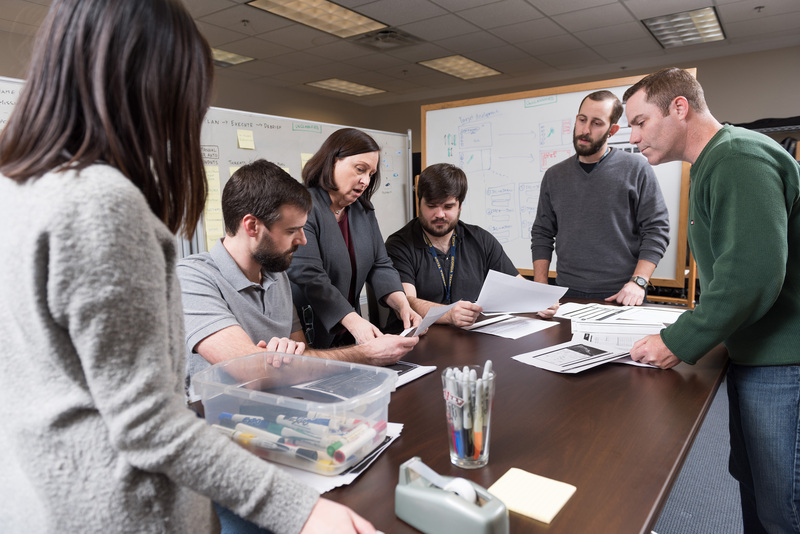 With guidance from the GTRI researchers, the project will improve the usability of the mission planning software tools, creating a more consistent and intuitive screen design that’s easier to learn and more logical to follow. This effort could benefit all Department of Defense (DoD) agencies for collaborative mission planning. Mission planning needs to support the ability to collaboratively plan missions involving multiple aircraft but currently does not have that capability. The planning challenge can be quite complex, involving multiple targets, ground-based threats, different aircraft types and a variety of weapons systems. The most complex part of the process is often done by multiple pilots using whiteboards, paper, and spreadsheets to combine relevant information, consider alternatives, and reveal complicated issues. Information from the white-boarding process is then entered into the software system, which produces the mission plans that go on board the aircraft. 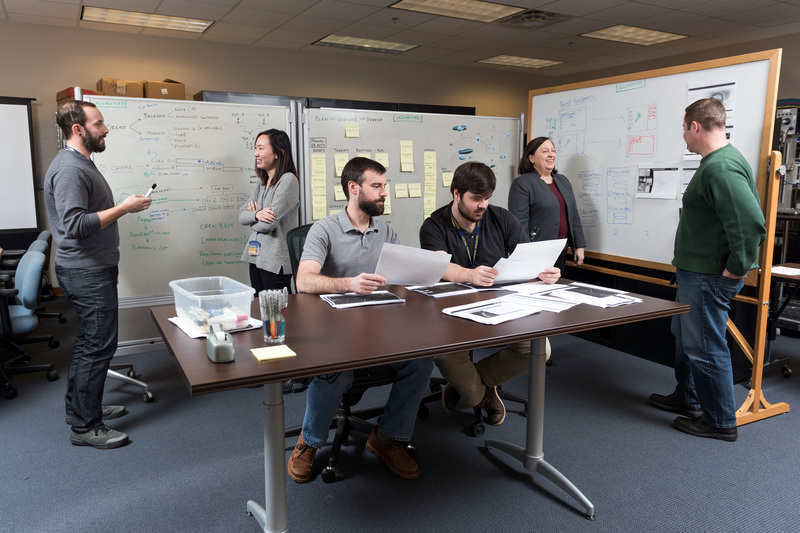 The GTRI human factors team realized that supporting these white-boarding activities in the mission planning system could accelerate the mission planning process, and they created new designs to support this functionality. At each iteration of the process, prototype interface designs were evaluated with experts. In some cases, those experts visited the GTRI team in Atlanta to review and discuss the designs. The GTRI team has applied lessons learned from a variety of domains – desktop and web design, and commercial and military applications. For instance, shortening the distance between buttons on a screen, reducing the number of clicks necessary for a task, consolidating screens, and providing a consistent workflow direction make a digital system easier and faster to use – whether it’s a website or mission planning system. “We want to make the system a companion for the aircrews so they consider it a partner in these critical processes,” she added. In one case, the researchers were able to consolidate nine separate screens, each with different tabs, into a single screen. 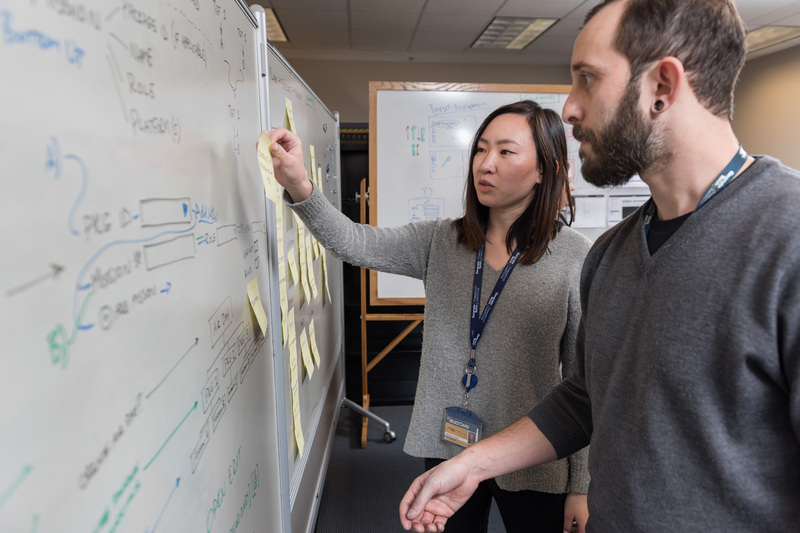 GTRI’s Human Systems Engineering Branch (HSEB) has been in operation for more than 30 years to help improve the interaction between warfighters and the technologies they use. In addition to Crosland, the GTRI team includes more than 20 people. The leadership component includes Tommer Ender, director of GTRI’s Electronic Systems Laboratory (ELSYS); Adam McCorkle and J.D. Fassett, both associate directors in ELSYS; Debra Jones, head of ELSYS’s HSEB, and C.J. Hutto, associate branch head for HSEB. The project’s analysis and design team has included Buddy Ray, Stuart Michelson, Andrew Baranak, Vlad Pop, Liz Weldon, Chandler Price, Courtney Crooks, Chris Hale, Mike Fitzpatrick, Robert Kempf; technical advisor John Huggins; HCI graduate students Catherine Johnson, Sarah Brooks and Rachel Chen, undergraduate students Megan Eberle and Spencer Frum; and other GTRI subject matter experts. Students from nine metro Atlanta middle schools deployed their underwater remotely operated vehicles (ROV) in a competition sponsored by the Georgia Tech Research Institute (GTRI) and the U.S. Navy.